THE corps commanders have spoken. They have expressed concern over the “feeding of a false and fabricated story” that appeared in Dawn on Oct 6 as a breach of national security. At the same time, the government “as a gesture of goodwill” has removed the travel ban on the reporter who wrote the story. Since the journalist seems to have his freedom to travel abroad restored one assumes that the military is blaming the government or some of its officials for ‘feeding’ the story which the newspaper, after due diligence, published in good faith. Interestingly enough, it isn’t only the military top brass that seems angry at the publication of the story as the decision to place journalist Cyril Almeida on the Exit Control List (ECL) was taken by the government — even though unnamed ‘high level’ military sources had distanced their institution from the move while talking to a Geo News programme. The proceedings of the meeting did not make global headlines. The travel ban on the reporter did. With a long history of direct military rule and several examples of unequal power-sharing arrangements between the civilians and the military, relations between the two are always prone to tensions. Does this mean that such tension has to end in a break? No, definitely not. 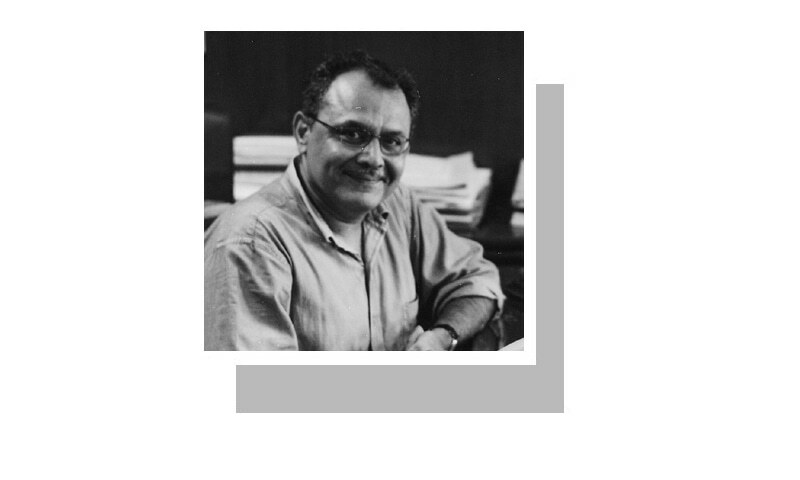 The story came at a time when the question of who will succeed Gen Raheel Sharif as the chief of army staff when he retires next month was on everybody’s mind. In any other country it would be a matter of routine to be dealt with according to laid-down policy and established practice. Ours is always a different case. Everyone knows that under the current constitutional provisions it is the prime minister’s prerogative to name the army chief. Technically, any serving lieutenant-general can be given the command but obviously the handful few who form the senior-most core are seen as being in the running. If it were left to me I’d go with order of seniority unless someone stood out as being head-and-shoulders above the rest for demonstrable reasons. But historical experience causes anxiety among civilian politicians since they see their choice as having a bearing on whether or not they are able to complete their elected term in office. This anxiety can manifest itself in a number of ways. Currently, for example, the foreign policy shortcomings are translating into international pressure on the government. Most critics today blame the government, since there is very little or no tradition of holding the armed forces to account even where they choose to take the lead. In addition, the government is coming under pressure for not agreeing to a transparent inquiry in to the Panama Papers leaks and the PTI has announced its planned ‘lockdown’ of Islamabad for Oct 30 in order to force the PML-N administration to resign. Equally important from the government’s perspective must be the announced rally of the Defence of Pakistan Council, seen by some as an intel surrogate, on Oct 28 in the capital. If the government had a game-plan for dealing with these two events and was confident that these weren’t part of some conspiracy to dislodge it from power its reaction may have been more measured than placing a travel ban on a journalist. On the other hand, one can’t discount the fact that Gen Sharif is seen as a bold leader and strict disciplinarian. Therefore, as he settles into his final weeks in office, the publication of a story he perceives as unfavourable to his institution doesn’t make him happy. Was this leak just another leak or was it targeting him and represented a bigger challenge for him? And where was it coming from? Of course because the Indian media picked up the issue as part of its propaganda war against Pakistan amid Delhi’s failure to quell a popular uprising in India-held Kashmir, it is suddenly even more significant. One hopes we can still remain committed to doing the right thing and don’t do something tantamount to cutting off our nose to spite our face. As for the view that the Dawn story used unnamed sources and acknowledged in the report that none of the participants were willing to confirm on record, it is an internationally accepted journalistic practice. It is the sources’ prerogative whether they wish to be named. Perhaps, the sources for this story may not fall in the category but many countries in the world have now gone so far as to legislate to protect ‘whistle-blowers’ (KP too has a law) the unnamed sources who alert the media to wrongdoing in their organisation. This covers government departments too. And where are we? Still learning a lesson, an abject one that by acting rather mindlessly by placing restrictions on the journalist the government itself gave more legs to the story to run and run. The proceedings of the meeting did not make global headlines. The travel ban on the reporter did. I strongly believe that with the benefit of hindsight this huge controversy will be no more than a storm in a teacup and form part of the learning curve for elements of state power in how to deal with each another. For now, it has meant a family holiday ruined for a former colleague of mine. As we live and learn we will also understand that our country and its well-being is our collective responsibility. All of us together should also decide what constitutes the national interest and how best to further it. It can’t remain the monopoly of a minister or an institution alone. It will be hard to believe wisdom is so thinly and narrowly spread in Pakistan.